Back in the day, I took Colorado-area supermarkets to the test, twice, in the grand Supermercado Sandy Spectacular, wherein I compared the Big Three Denver deli offerings: King Soopers, Safeway and Albertsons. Quality: Two words: Boar's Head. The meat 'n' cheese gold standard, sold at a premium in Colorado, is simply the standard in NY. This means you know what you're getting, and the getting's good. Variety: We're not talking turkey, ham, roast beef and salami. We're talking turkey, cracked pepper turkey, mesquite turkey, pastrami turkey and Salsalito turkey. Bread, too — think Kaiser rolls, heroes, crusty, soft, big, small, etc. Freshness: Like sushi, good deli is fresh deli. If you get a sandy in a New York supermarket, they carve the fillings up thin off the slab. Say no to pre-sliced, pre-weighed plastic-and-wax-paper-packaged piles of cheese. Today, via Key Food, I enjoyed a buffalo chicken and pepper jack sandwich on challah with tomatoes and spicy mustard. Oh, it was good. The mustard was expertly spread on the inner bun. The cheese was razor thin. The bread was sweet and oh, the kick, the kick of the chili peppered fillings. Magic for under five bucks (graciously donated by It's What's Between's new traffic guru/tour guide Justin following my unfortunate separation from my wallet in a Puerto Rican gas station). Hells yes. 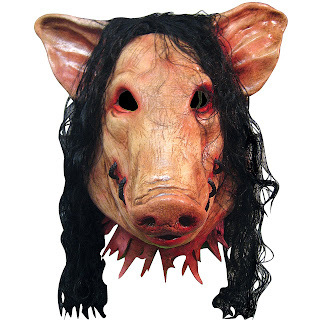 I was in Barnes and Noble earlier today and overheard some high schoolers talking about Lord of the Flies and went secretly into a mental diatribe about it, picturing the Pig's head.. and lo and behold, it's here!!! oh, PS: I had to look up waffle sandwich. you should contribute to this site! The Sandyblog knows all, sees all. Thanks for the heads up on Serious Sandwiches. I had no idea people were doing such heavy work on the waffle sandwich front. I'll need to weigh in. Thank you, anonymous commenter! But I noticed you posted the exact same comment to a bunch of other sites. Are you a spammer for Google? If so, that's weird and unnecessary -- people are well aware that Google's a good way to find Web sites. Great post. Thanks for writing a wonderful blog.